His major blunder here is to conflate abiogenesis and evolution and argue that 'theistic evolutionists' reject abiogenesis but accept evolution. This ignores the fact that there is no unanimity among evolutionary creationists on this point. Some accept abiogenesis while others reject it. The fundamental points on which they agree, and which Clark's clumsy taxonomy ignores are that they accept the fact of common descent and large-scale evolutionary change and do not see Genesis as being concerned with the specific details of how God brought about the diversity of life we see both now, and in the past. Even more disturbing is his seeming endorsement of young earth creationism, an utterly ludicrous idea which was unknown in our community until the mid-20th century, and which was rejected by educated Christians in the first half of the 19th century, well before Darwin's book was published. Evolutionary Creationism or Theistic Evolution? In part 1, I pointed out that Clark's first major error was in failing to adequately differentiate between the fact of evolution (common descent and large scale evolutionary change) and the theoretical mechanism proposed to explain how evolution occurred. In other words, he failed to differentiate between evolution as fact, and evolution as theory. Evolutionary creationists accept the fact of evolution; whether they accept the modern synthetic theory as an adequate explanation for common descent, believe that it needs extension, or believe that it is due for replacement is irrelevant from a theological point of view. This is because once one has accepted common descent, the idea of recent monogenism (the entire human race descending exclusively from only two people living 6000 years ago) and any erroneous reading of the Bible that is contingent on monogenism both become untenable. His next error lies in his taxonomy, where he divides the world into atheist evolutionist, special creationist, and theistic evolutionist. His criterion for dividing theistic evolutionist and atheist evolutionist is in his belief that theistic evolutionists believe that the origin of life lies in a miracle. This is false. I accept abiogenesis, though freely admit that there are many unsolved problems in the discipline. 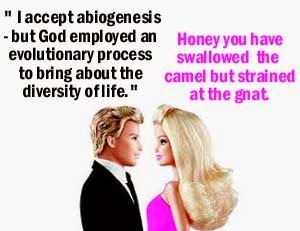 Other evolutionary creationists reject abiogenesis, and regard the origin of life as a miracle. What fundamentally differentiates evolutionary creationists from evolutionists is not their view on abiogenesis, but their belief that the overwhelming evidence from the natural world attests to the fact of common descent and large scale evolutionary change, and that God employed an evolutionary process to bring about the diversity of life we see in the natural world throughout time. Details such as this betray the fact that Clark is not providing an informed opinion, but rather simply regurgitating a deeply superficial understanding of the subject. That does not inspire confidence in the scholarly integrity of the remainder of his discussion, to say the least. Anyone who cannot accurately define evolution and fails to recognise the difference between adaptive and non-adaptive evolution is simply not in a position to offer an opinion on the subject. One final comment. Clark uses the term 'theistic evolutionist', one which evolutionary creationists such as myself regard as misleading. I do not prefix the term 'theistic' to every other branch of science I accept. I am not a theistic atmospheric physicist, theistic solid state physicist, theistic inorganic chemist, theistic biochemist or theistic geochemist. Likewise, I am not a theistic evolutionist. 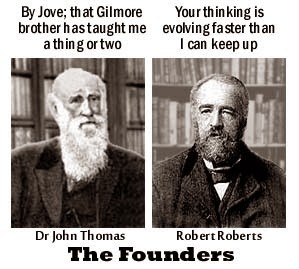 While Robert Roberts, John Thomas, C.C. Walker and their peers rejected evolution, all of them were united in their rejection of a young Earth, with some of them freely accepting the fact that life predated the creation of Adam. Some even rejected the idea of a literal creation week, based on the geological and paleontological evidence extant in the late 19th and early 20th centuries. This arena was originally a contracted territory—the garden of Eden and its vicinity. Beyond this the Bible gives no account, but this is no reason to presume that all that was exhibited under the dominion of Adam here were the all of the whole globe, or that all that was transacted here was the origin of all that then did exist on the face of the earth or even now exists, but that it was the all and the origin of all as pertaining to a new creation yet to be revealed, as the beginning of the world to man in this relationship, as the beginning of the purposes of God to both him and his habitation in view of a higher and nobler destiny—is without dispute. And from this point of view the seven days of creation may have been but seven days—a week—to set in order this territory as the earth on which to begin those purposes. But we do not say this was the case; we merely at present suggest it. (Emphasis mine: Jardine allows the possibility that the six days refers to the creation of the Edenic environment rather than the entire globe). The point of citing these early Christadelphians is not to argue that their specific comments should be normative for our community. The most recent comment in the above list is over a century old, and considerable advances in geology and palaeontology have occurred since then. 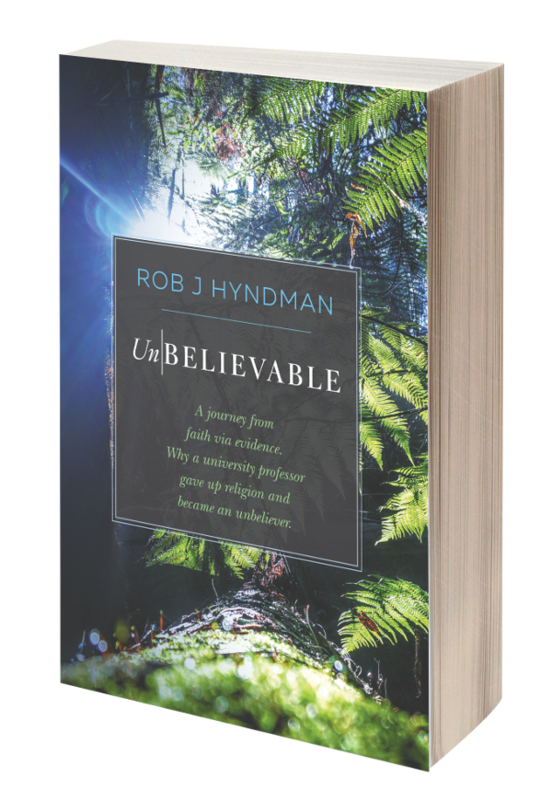 Rather, it is to show that well over one hundred years ago, early Christadelphians recognised that not only was the evidence for an ancient Earth overwhelming, but the evidence for a progressive appearance of life over geological time was also impossible to ignore. How they reconciled Genesis and science shows an increased awareness of the growing evidence against a naive literal reading of the creation narrative, as we see a move from the gap theory, where the six days of Genesis were seen as literal days of recreation following a cataclysm, to a day-age theory as seen in CC Walker's comments. Needless to say, in the century since Walker's last comments, the evidence for an ancient Earth and a progressive appearance of life over thousands of millions of years of time has not just grown stronger but become beyond rational dispute. [24-25] Clark's blithe assertion that everything was created in six days is not just impossible to reconcile with the evidence, but suggests that he is simply ignorant of the sheer weight of evidence against his naive creationism. "As with fishes, so with birds, many remains are found in the rocks, of a kind not now found upon earth. Our museums contain footprints of gigantic birds impressed in sand now turned to rock, and remains actually embedded in rock. "If we understand Moses as teaching that the earth and all that therein is came into existence some 6,000 years ago, we shall scarcely be able to account for these evidently very ancient remains of creatures that do not now exist. "If we suppose a sudden and absolute break some 6,000 years ago, or before, resulting in the destruction of all life, and that the creation account of Genesis describes a new creation following, we ought to find some evidence of the break, and we cannot well account for the apparently close relationship that obtains between extinct and existing forms. There are forms becoming extinct in our own day from slow and natural causes. May it not have been so in pre-Adamic times? The professors tell us for instance that some of these ancient birds, whose strides we can see for ourselves from their footprints were from four to six feet long, were like gigantic ostriches. It is an indictment on how far parts of our community are sliding towards ignorance, science denialism, and anti-intellectualism that one finds a more open-minded, rational, informed approach towards this subject from an article written well over a century ago. Several geologists of repute, including Prof. J. R. van der Fliert of Amsterdam Free University and Dr. R. M. Ritland of the Geoscience Research Institute, Berrien Springs, have pointed out numerous passages in The Genesis Flood where Morris and Whitcomb are wrong on their facts. This is not just a matter of loose reasoning and dubious speculation (though there is plenty of that in the book, to be sure!) but of mis-statements about various rock formations and other matters of common observation. It appears that, because of the authors’ rather inadequate knowledge of the world’s geological structures, many of their arguments are based on false premises. One sorely laments the fact that Hayward's warning against YEC and flood geology has gone largely ignored in parts of our community as it has resulted in the patently nonsensical views touted by scientifically ignorant laypeople such as Clark to flourish to such a degree that some in our community think that YEC was the default Christadelphian position. Is Clark arguing that it is the YEC way or the highway? Is Clark implying that evolutionary creationism is merely a stepping stone to unbelief, or is he making a less than subtle threat that fundamentalist like himself would disfellowship him if they had the chance? If the former, then Clark is making the outrageous claim that this brother's faith will collapse as a result of his acceptance of evolution. How does he know? Has he spoken to him? If the latter, then we have in plain view the intolerance and fear that is an inseparable part of the fundamentalist wing of our community, one which will arguably drive away the best and brightest of our community if allowed to prevail. It is all too easy to imaging the response that a young believer undertaking a graduate degree in the earth or life sciences would get if she approached someone like Clark asking for help to reconcile the extreme fundamentalist reading of Genesis that she has been told is normative for all Christadelphians (under pain of disfellowship)  with what she can see for herself in her graduate studies. If our community is to survive and flourish, the views advanced by Clark need to become little more than an embarrassing footnote in the history of our community. I alluded to Clark's YEC views earlier, but space constraints preclude a detailed takedown of his utterly ignorant views on understanding of radiometric dating, taphonomy - and to be blunt, all of geology and palaeontology. I will cover this in the next post. 27. See Giberson K "Adventist Origins of Young Earth Creationism"
31. Some of the fundamentalist ecclesias in South Australia have evolutionary biology as a 'doctrine to be rejected.' I am not making this up, sadly.